With his 2017 budget heading to Congress this week, President Obama has been busy making policy announcements. While an oil tax and autonomous vehicle plan are getting all the attention, a smaller element of the budget will have much greater impact: a proposal to make sure all Americans have access to clean, safe water. After Flint’s water crisis—where the news just gets worse and worse—the country has been faced with the alarming realization that one of our most critical infrastructural systems is in jeopardy. But this is not just a matter of replacing old pipes that deliver our drinking water. We also need a long-term plan for conservation and management of that resource. As we’ve seen with the drought in the Western US, we can no longer rely on rainfall models from the past several centuries to replenish our reservoirs. Our water security is in a far more precarious position than it was even a few years ago. When one of these cities on the brink is struck by a major natural disaster—a superstorm on the East Coast or a major earthquake on the West Coast—there might be a total breakdown of the system Americans have relied upon for years to bring water into our homes. Here are a few of the water security measures that the White House is proposing, out of seven major areas which I’m guessing will be revealed in more detail tomorrow. Desalination research hub: So far the country has not pursued desalination as a large-scale solution because the existing technology is expensive, bad for the environment, and uses a ton of energy. But that could be improved with better desalination technology, which might be developed at what will be the first US research center devoted to it. Better water modeling: Part of what will drive a more resilient water system is being better prepared for what the future holds. The proposal would give more money to what’s called an integrated water prediction (IWP), which can help spot potential droughts and flooding years or months before they hit. Real-time usage data: One of the biggest challenges for conservation is that there’s no standardized metering to monitor water usage—and additionally, that data is not made public. The White House would give money to the USGS to help develop a clear way for consumers and utilities to see how much water is being used, and how they can use less. 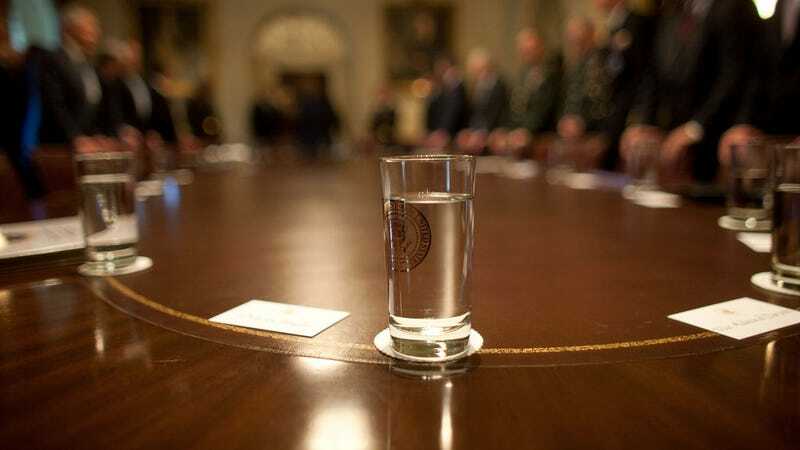 Leading the water conversation: While the details given to Fast Company don’t spell out an attempt at creating a national water policy, it does seems that the White House is interested in possibly developing some national standards. The first-ever White House Water Summit will be held on March 22 to get many of these water innovators in the same room. As Zaidi points out, water innovation is lagging both in US-funded research and in this budget specifically—compare $267 million for water to the $4 billion that’s proposed for autonomous car development—but in the end, this tiny amount might be able to dramatically improve the quality of everyday life. Of all the controversial proposals already being debated by a Republican Congress, let’s hope passing this part of the budget—the one that guarantees an unalienable human right—is a given.